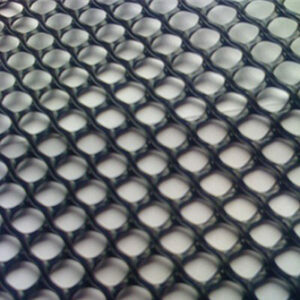 Gateway mats are as simple as the name would suggest. They are suited to being put down in high traffic areas, most commonly gateways, predominantly to be used by pedestrians and/or horses. These areas are prone to becoming boggy leading to mud being carried further up pathways as people have no choice but to walk through it. 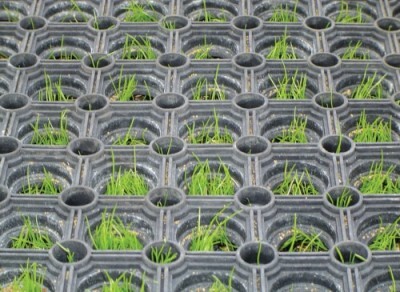 Gateway mats lift you above the mud providing good support and, in the long term, give the grass a chance to grow back reviving the whole area. 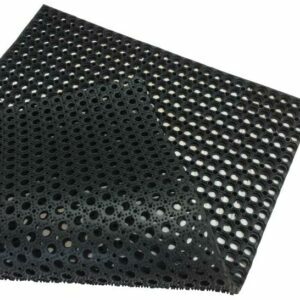 For extremely poor areas this product can be used in conjunction with underlay mesh helping to prevent the mats from sinking down in to the mud. This product can also be used for gateways requiring vehicle access providing certain criteria are met. The vehicles must only be travelling over the mats in a straight line. Due to the friction between the rubber mat and the rubber tyres on the vehicle, turning leads to excessive shear forces and the mats will simply rip. 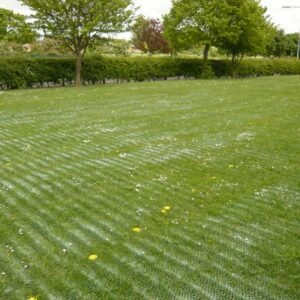 If you do require ground protection for an area which is mainly going to be used by vehicles please see our Grass Protection Mesh, Heavy Duty Grass Protection Mesh or GridPave. Alternatively please call one of the team for advice on which product best suits your needs.